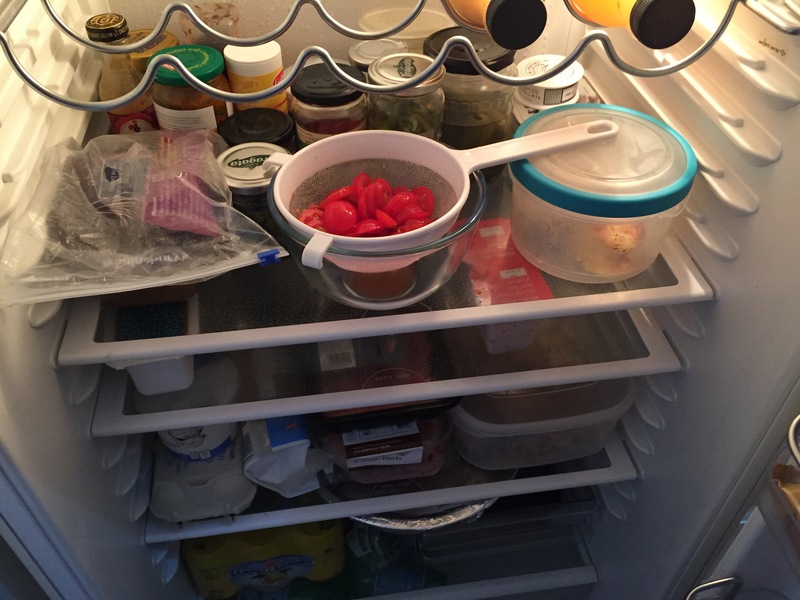 Tasty Tuesday – I Can’t Believe I Haven’t Done This One Yet! This is amazing. I am shocked that I have not yet shown you guys how to make my super delicious, totally healthy, low calorie and easy to make salad staple that I roll out at least twice a month! 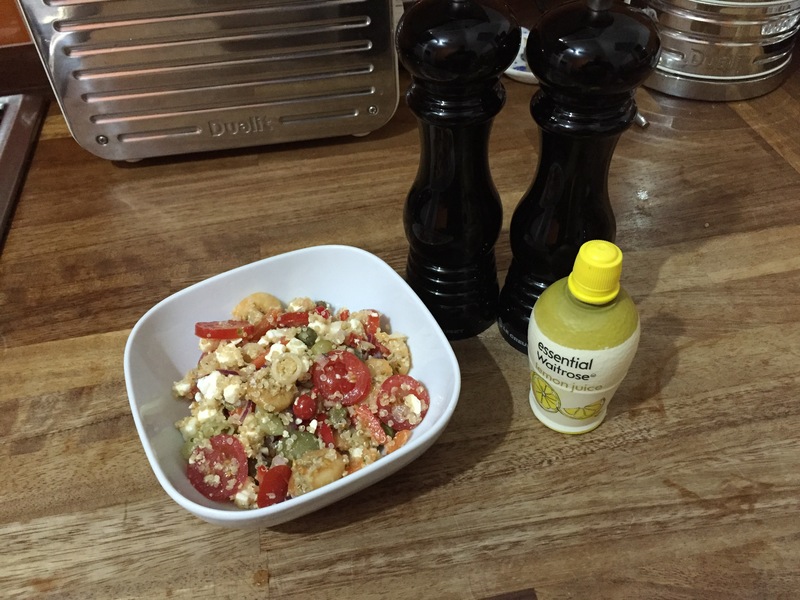 Quinoa and Greek Feta Prawn Salad. 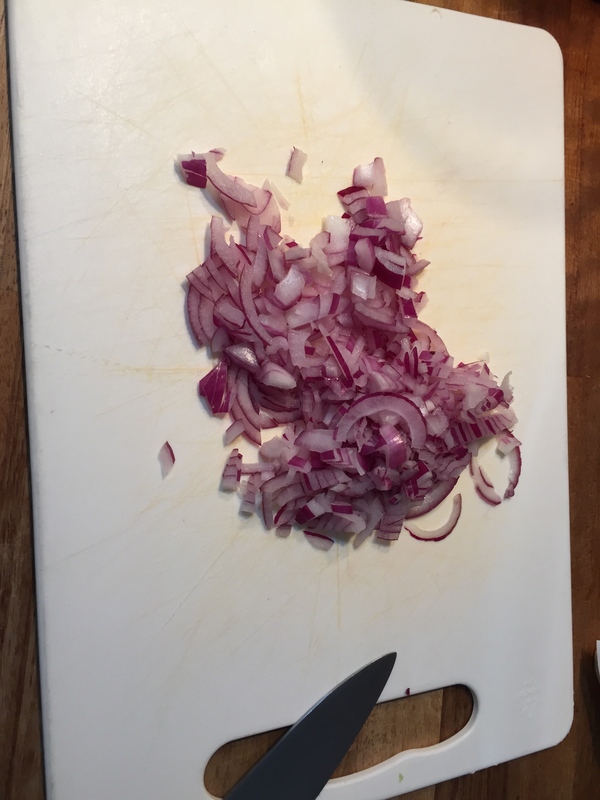 1 Red Onion medium, finely chopped. 135gms Cherry Vine Tomatoes. finely sliced. 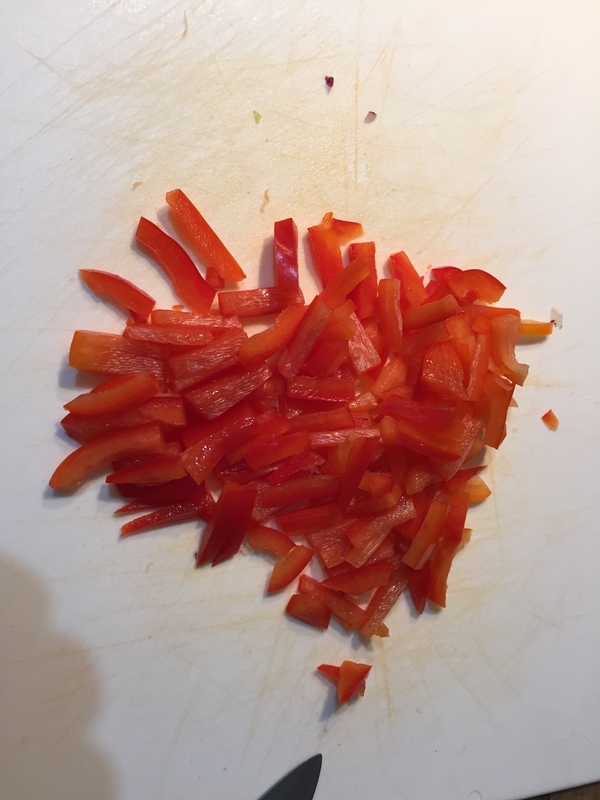 1 Red Bell Pepper large, finely chopped. 3 Cloves Garlic large, finely chopped. 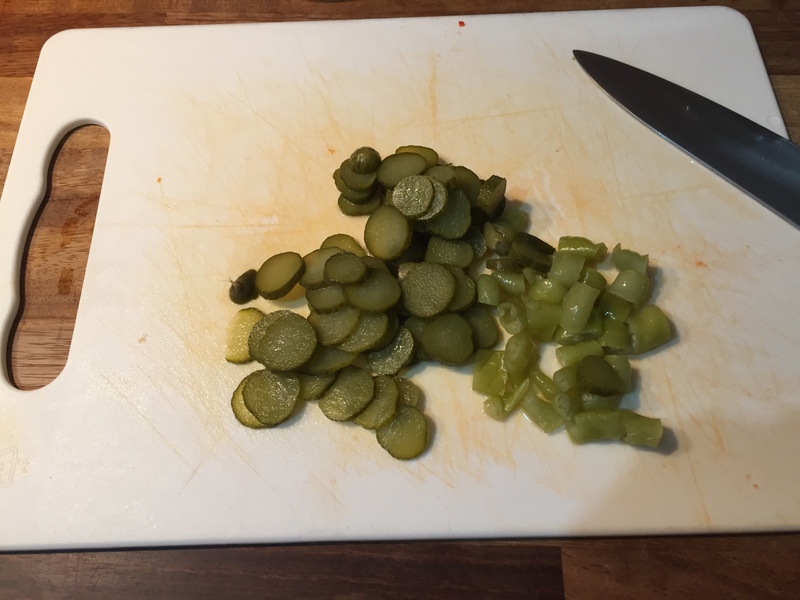 3 Pickled Gherkin medium, finely sliced. 4 Pickled Jalapeños large, finely chopped. 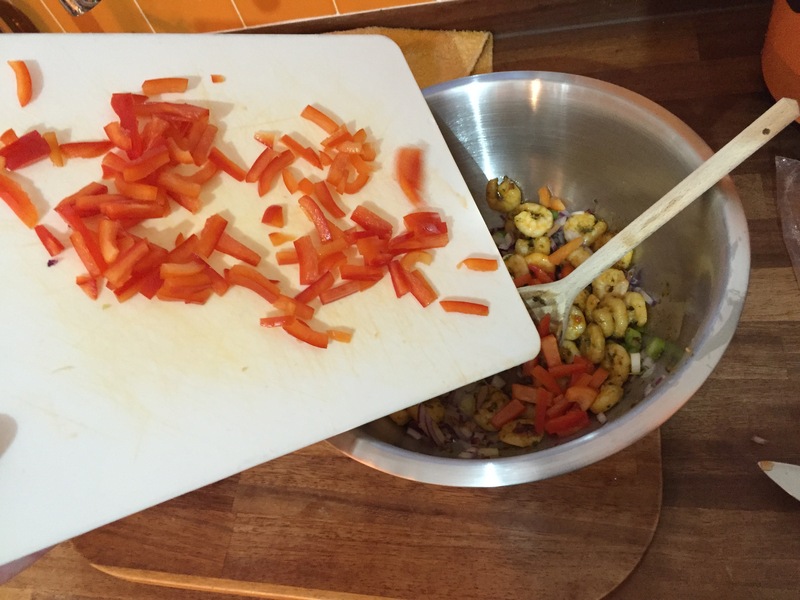 300gms Mixed Chilli and Garlic Prawns. 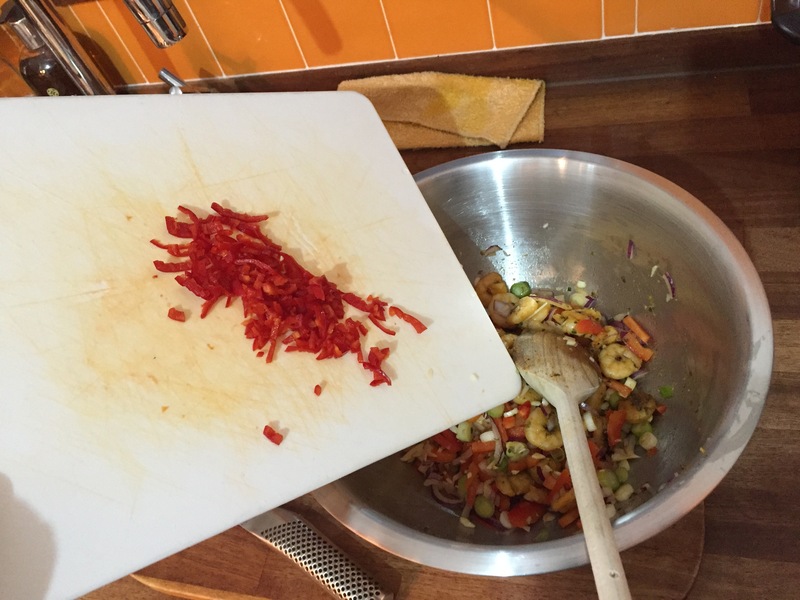 2 Red Chilli’s large, deseeded and finely chopped. 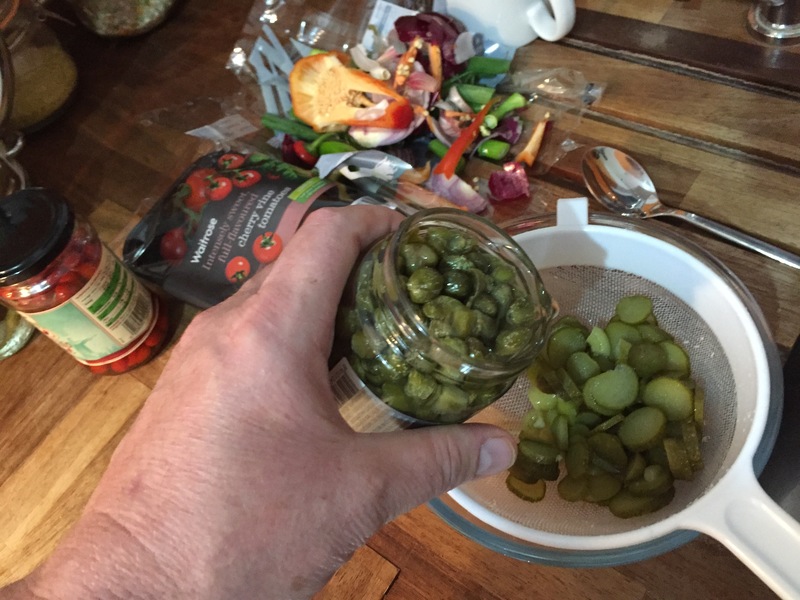 2 Desert Spoonfuls Capers small. 2 Desert Spoonfuls Pearl Peppers small. 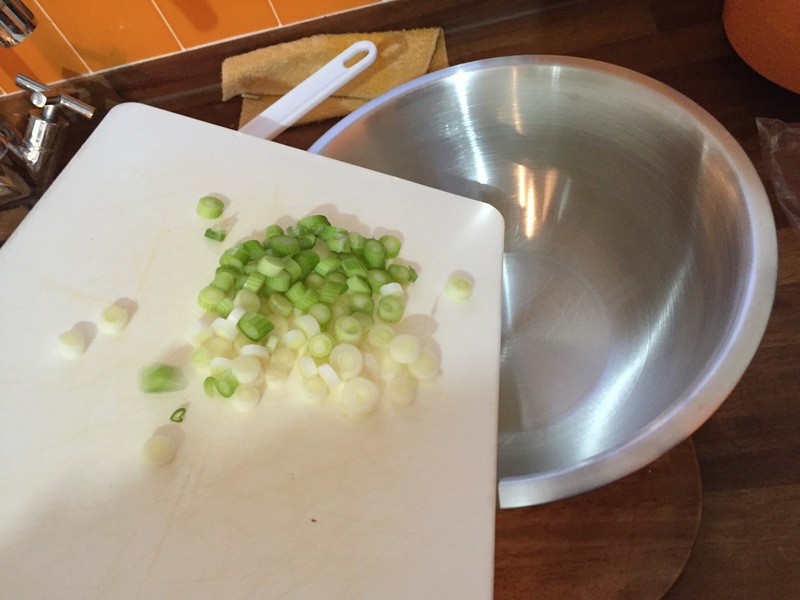 1 Bunch Spring/Salad Onion medium, finely chopped. Okay, so here’s how we make this thing! 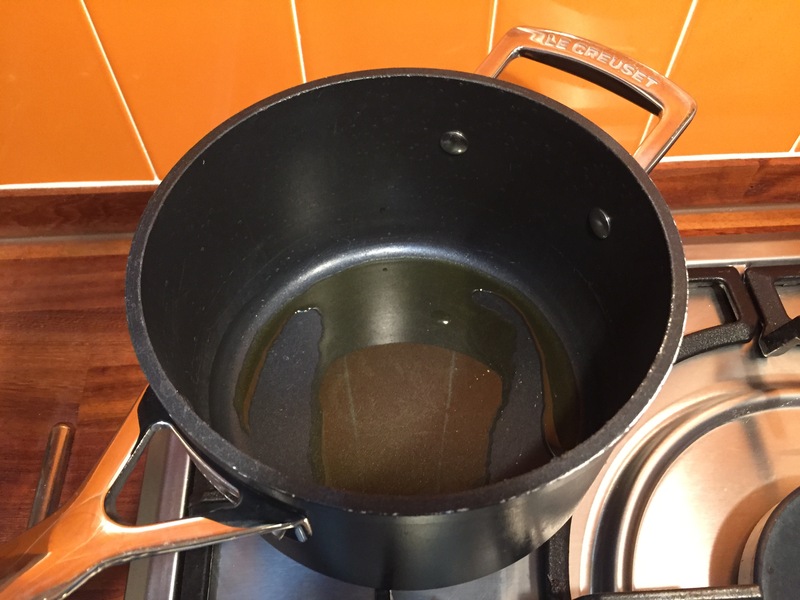 Start with some oil heating up in a pan. 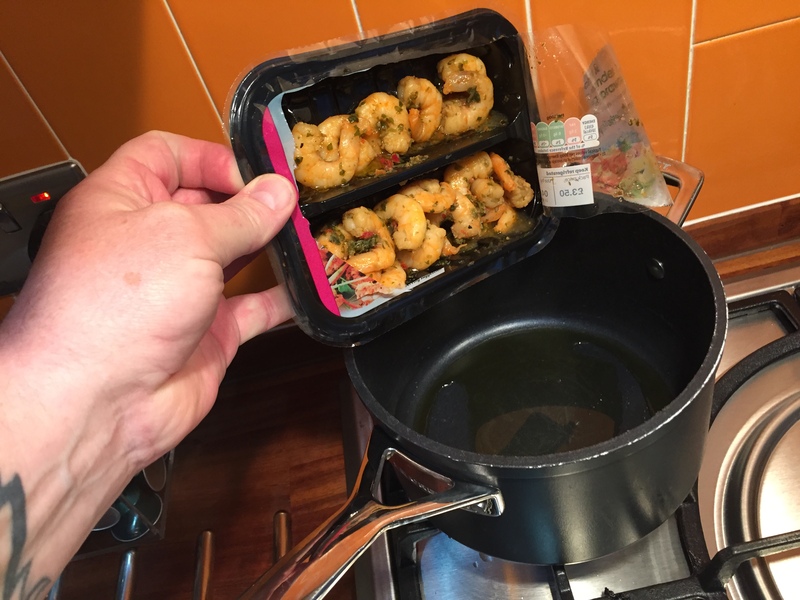 To which you add the prawns. 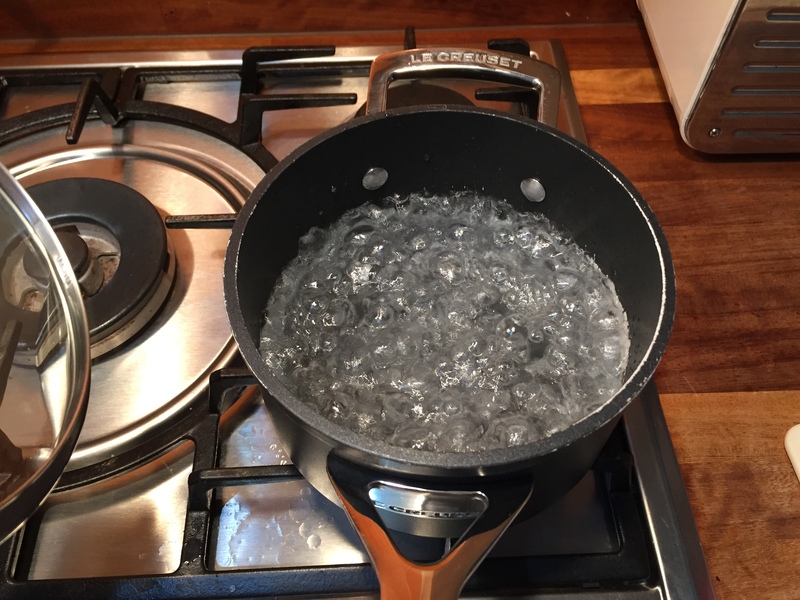 Take a smaller pan and boil some water. Then add the Quinoa and some salt. 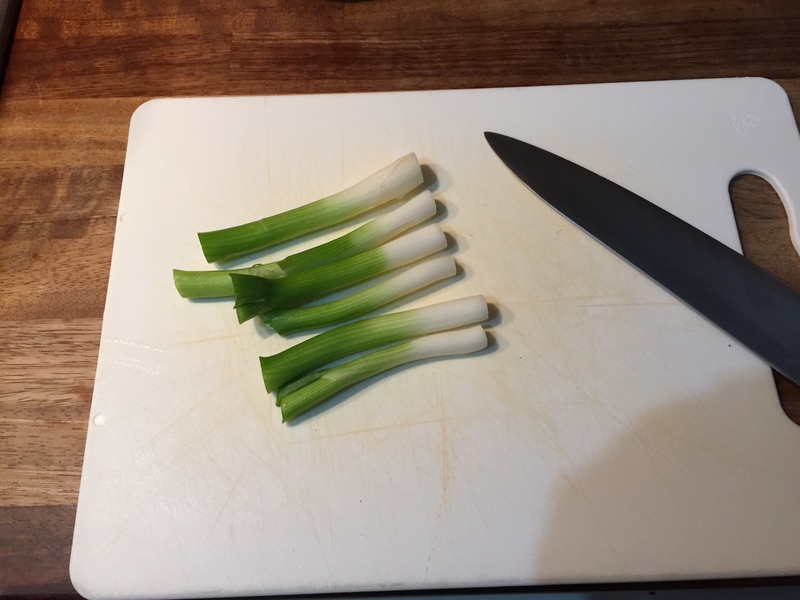 Whilst the prawns and Quinoa cooks, it is time to prepare the salad part of the salad, so chop the Spring/Salad onion. Add this to the mixing bowl. 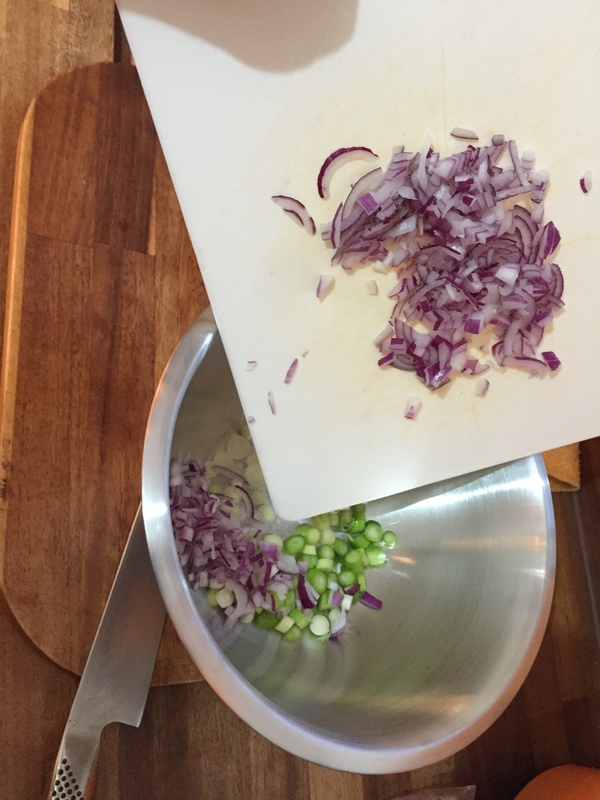 Chop the Red Onion and do likewise. 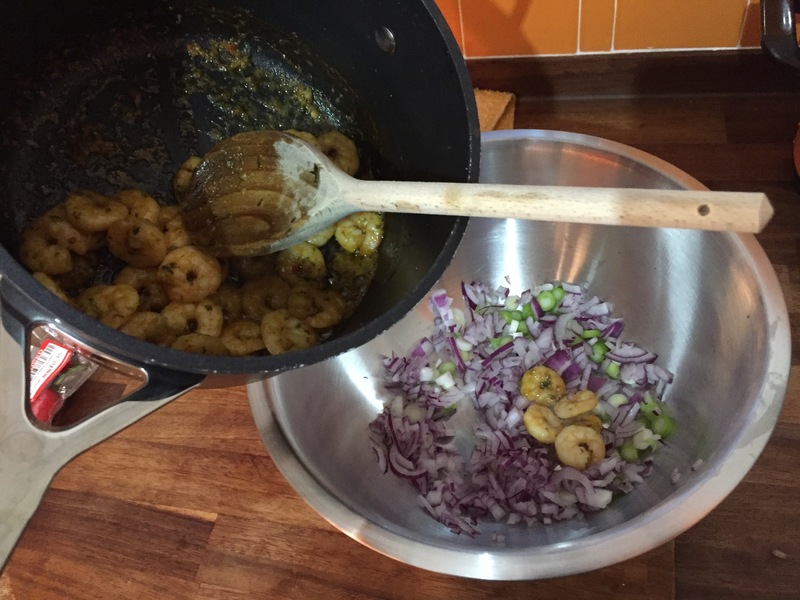 By now the prawns will have cooked so add these to the mixing bowl. 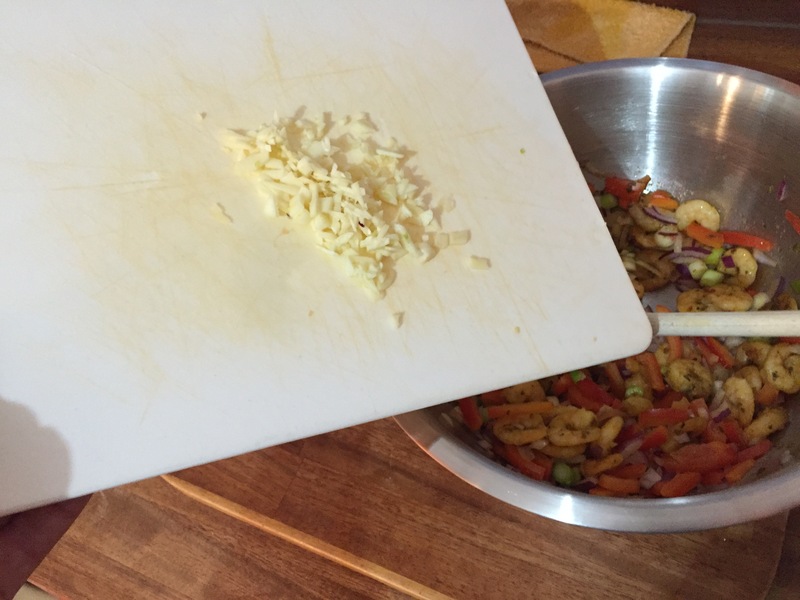 Then continue with the salad prep by chopping the Red Bell Pepper and again adding to the bowl. 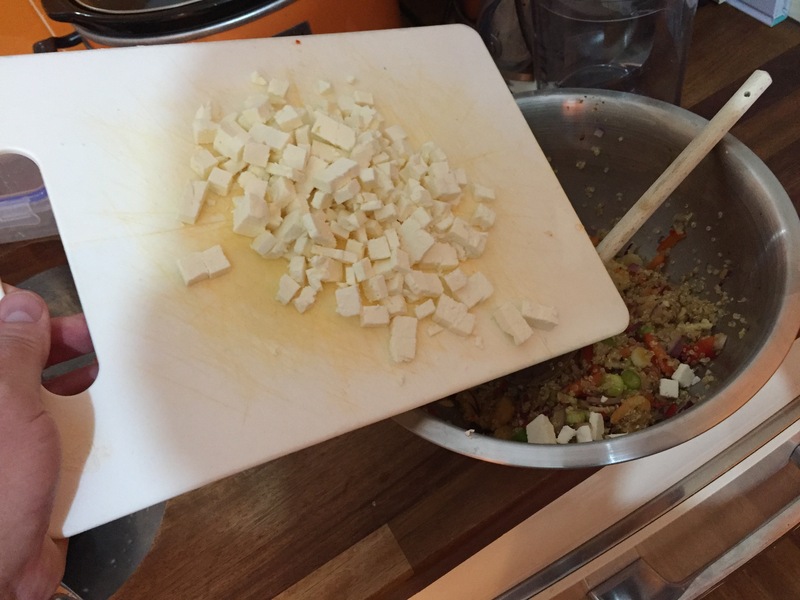 Finely chop the Garlic Cloves and the Chilli and then add them to the bowl. 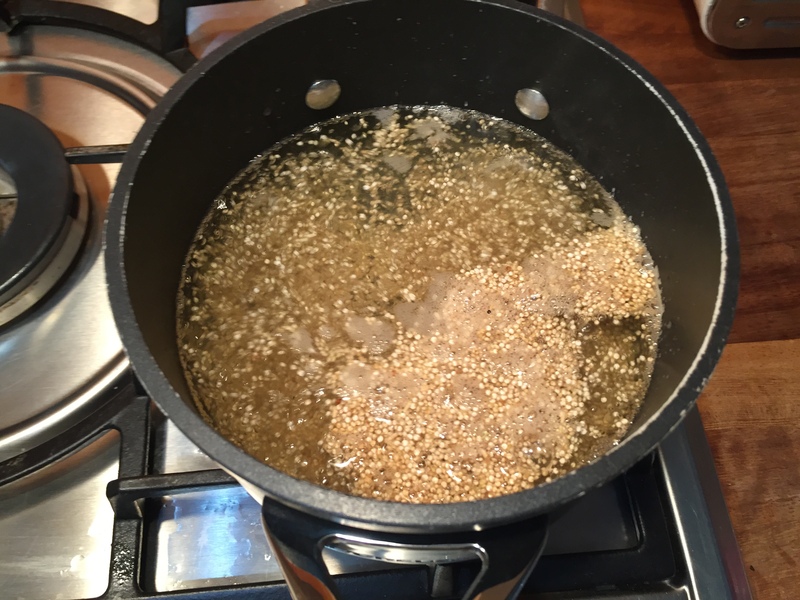 Next remove the Quinoa from the heat and drain in a fine sieve. 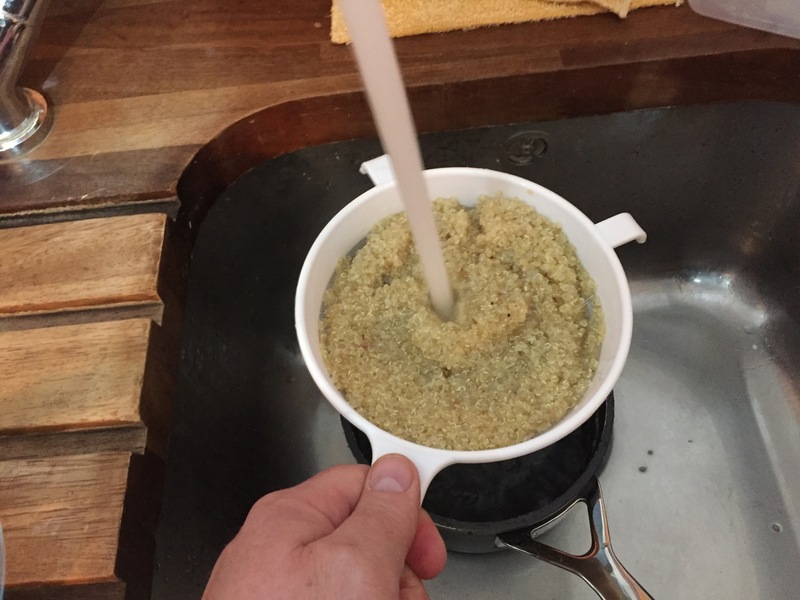 Once drained allow cold water to pour over the Quinoa in order to cool it down. 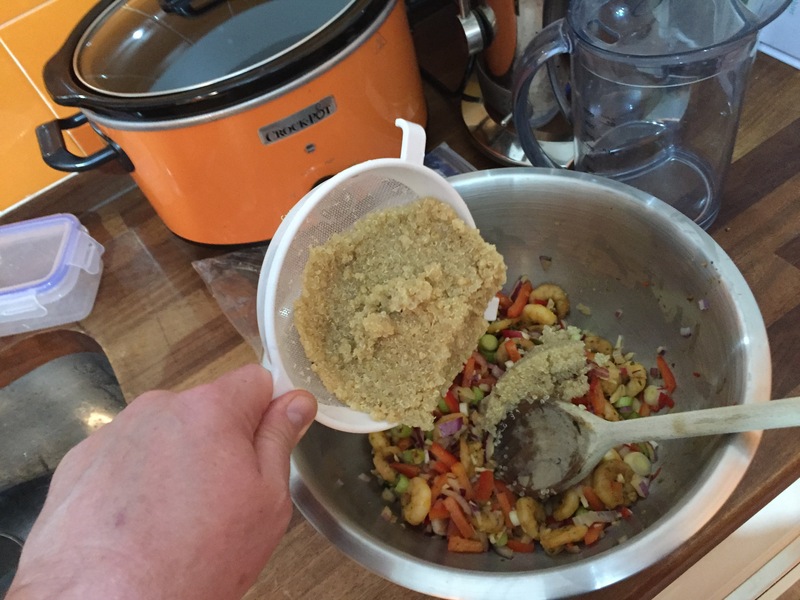 Then compress the contents of the sieve with the back of a wooden spoon in order to get all of the water out, thus reducing the amount of moisture in the finished salad. 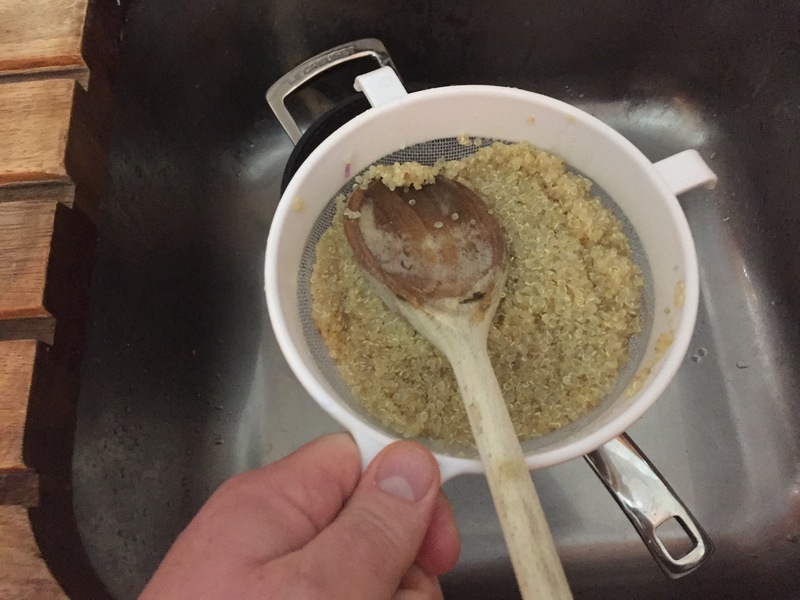 Add the Quinoa to the bowl. 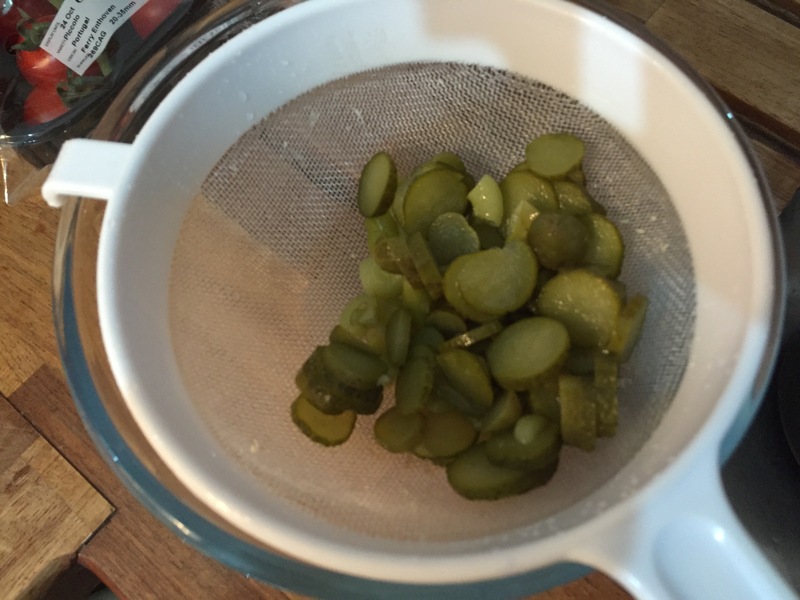 Next prepare all of the pickles and peppers then add them to the sieve in order to drain the vinegar from them. 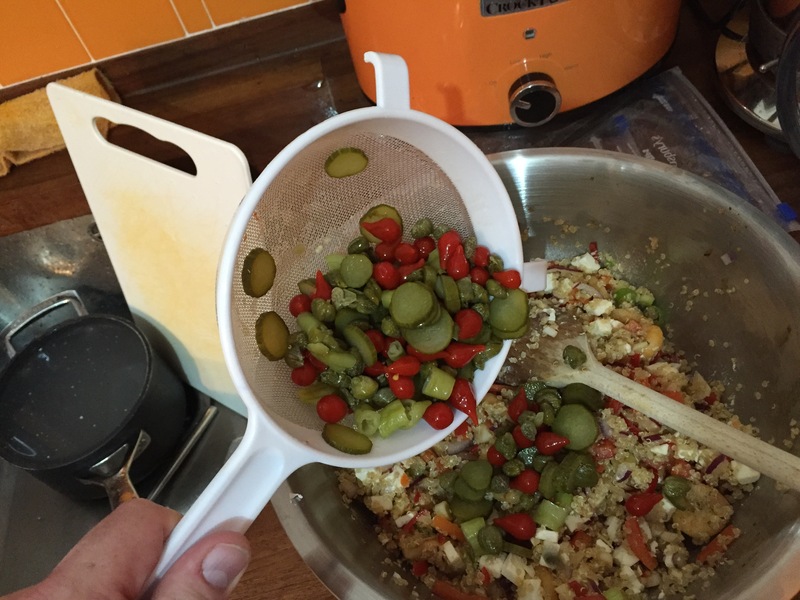 Then add all drained peppers to the mixing bowl. 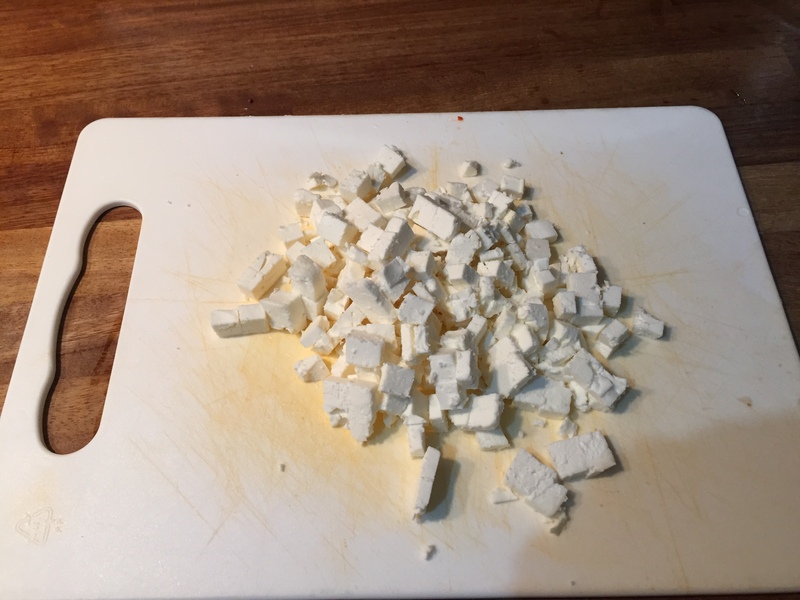 Next, it is time to prepare the Feta Cheese which simply needs dicing and adding to the bowl. Once added, give the ingredients a good mix around. 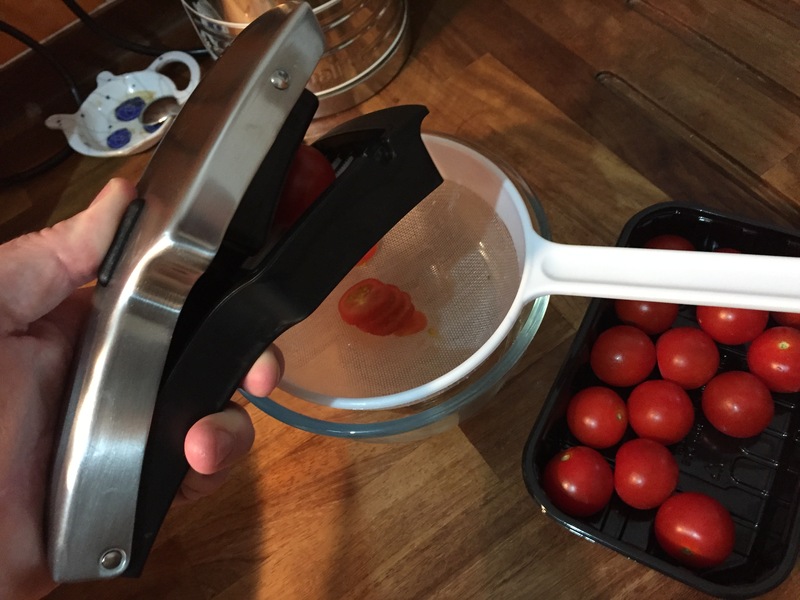 And the final stage is to prepare the Cherry Vine Tomatoes. So start by finely slicing them into a sieve over a bowl to drain the juice from them. 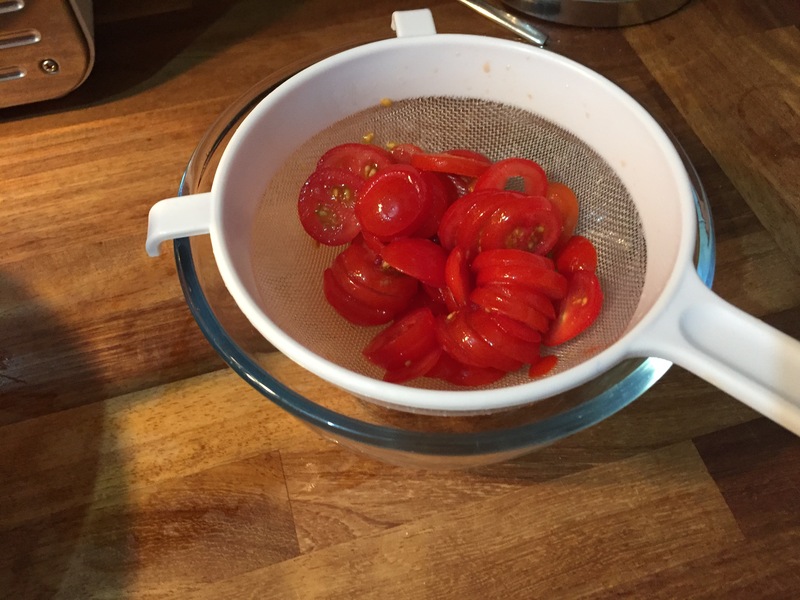 Put some foil over the mixing bowl and place the bowl and the sieve of tomatoes in the fridge for an hour or so to infuse and drain respectively. 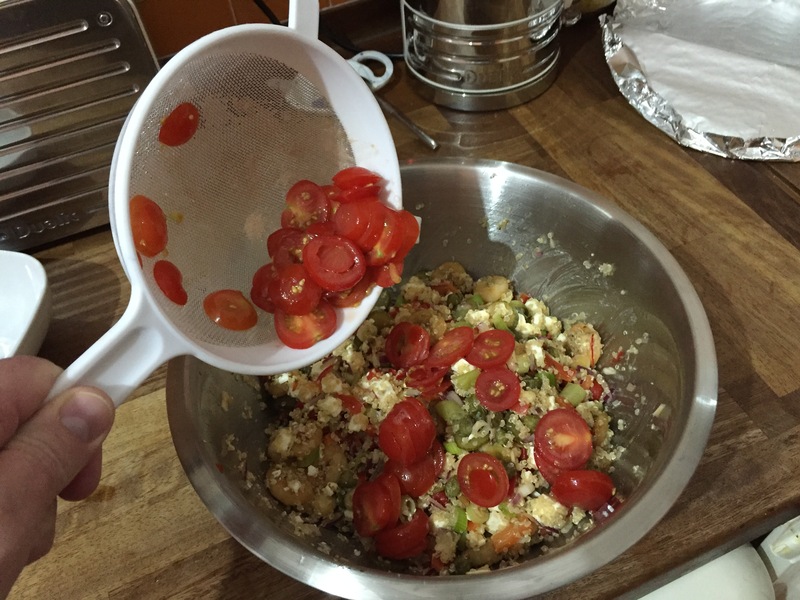 Finally, once the sliced Vine Tomatoes have drained, add them to the mixing bowl and mix in to the rest of the salad. Serve in a bowl, season with salt and pepper and a squeeze of lemon to suit. 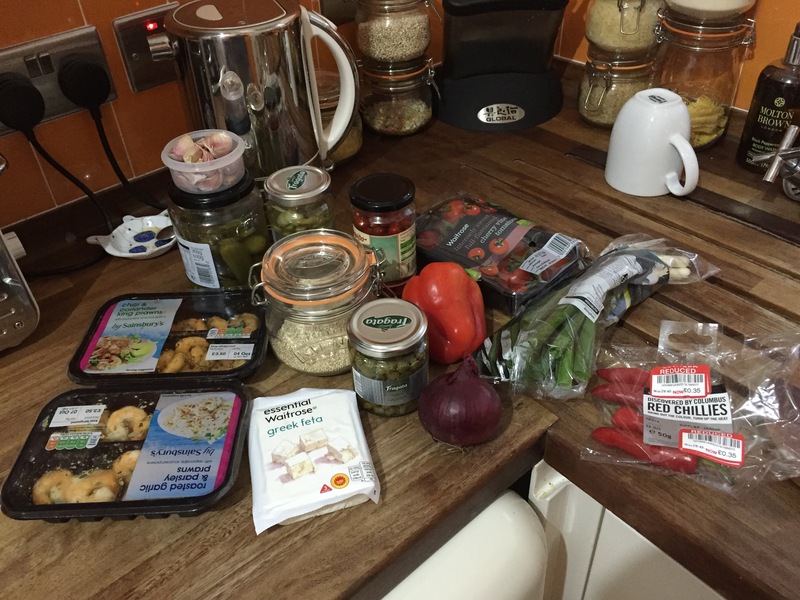 This is one of my absolute favourite meals and is SO healthy and tasty it is incredible that something that tastes this good could actually be good for you! 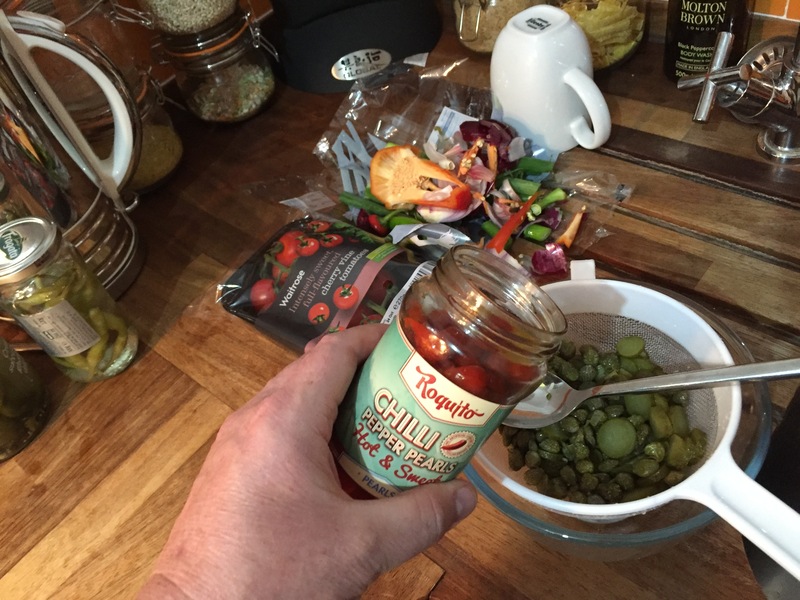 This looks divine, Cameron! Thanks for sharing. This post was strange in how it rendered when trying to view it – yesterday’s post from you wouldn’t even come up for me. Not sure what’s going on with WP, but thought I better share with you. Glad you like it. I am wondering if there are too many pictures in the post but that makes no sense. You are the third person to say that they had trouble looking at yesterdays post so thanks for letting me know. Who knows! You didn’t seem to use more than the past. Yesterday’s came up for me about 1/2 way and then stopped. I just tried this morning too and it still isn’t coming up fully. Very odd!! I’m a little fed up with WP at the moment. They seem to charge me money yet recently several things have gone awry. All I can say is clear you browser cache and see if that helps. Looks delicious! I have some quinoa in the pantry just waiting for me to do something with it. And this came along. It’s meant to be Sandi-Lynn!! Oh I love this….I have to give this a try! Thank you for sharing. Pleasure. I hope you enjoy it as much as I do. It is so fresh tasting even after a couple of days in the fridge! It is absolutely gorgeous. One of my most favourite dishes for sure. It is full of so many delicious things Cameron, thanks for sharing!! very nice…..and its pretty too!!! 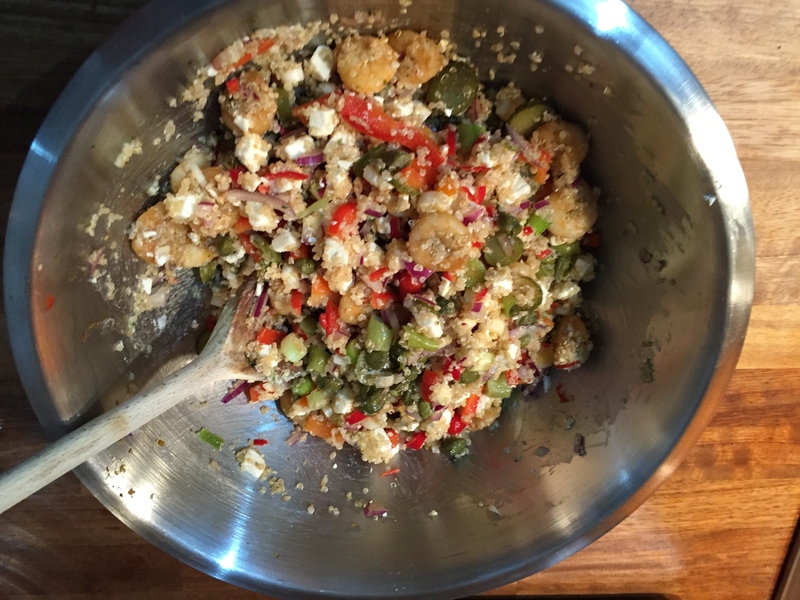 Lots of colours and lots of flavour Kat and not much in the way of carbs plus zero fat! Pleasure. I have made it with small pieces of spicy chicken and that works well also. This is one of the best and healthiest recipes I have seen. Thank your for sharing. I hope your readership takes advantage and incorporates this into their arsenal of meal planning. It is the best gadget I have ever bought for the kitchen for sure. 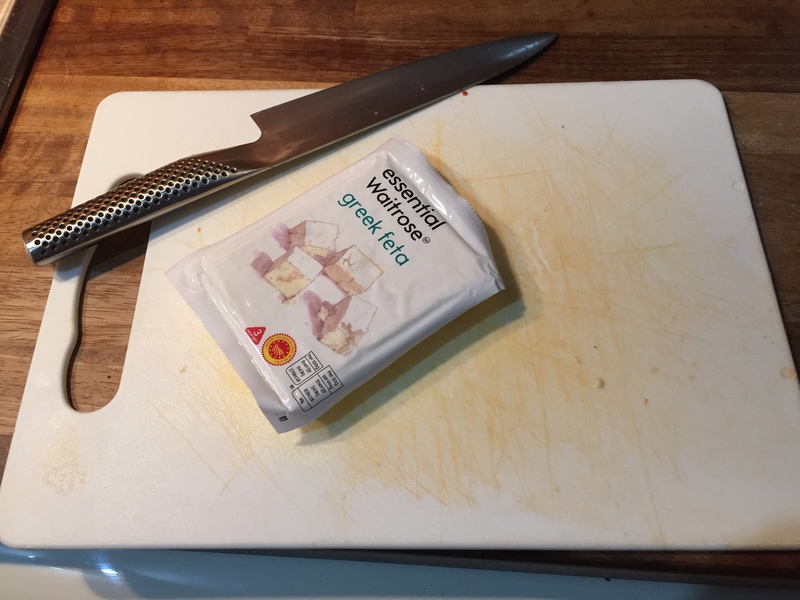 No more slicing! As for a picture of me with a Chefs hat on, just go to the Muppets and look at the Swedish Chef, you will get the idea…!